At Annadale Roofing Ltd, we aim to ensure that you get the best possible value for money and the quality of work that you should receive. Our roofing team is trained to the highest level and only carry out a professional and high standard of work. A traditional felt flat roof just isn't built to last, unlike our range of outstanding flat roofs. Read more about our roofing company and what we can offer you. Welcome to the online home of Annadale Roofing. Established in 1985, we are acknowledged experts in the design and installation of commercial and domestic roofing. 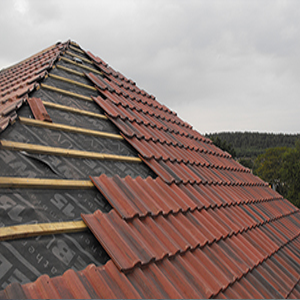 Based in Bootle, Merseyside, we provide roofing services throughout the United Kingdom and understand perfectly that making the right choice when replacing or repairing a roof is vital as there are many important factors to be considered. We are delighted to welcome more and more customers close to home, in particular, in the Liverpool, Chester, Stockport and Manchester area. If you are looking to repair or replace your roof; add a dormer or upgrade your flat roof; need chimney repairs or to replace your guttering, contact Annadale Roofing today. We are experienced, professional roofers offering top quality roofing services at a fair price. Are you are a builder or property developer looking for a trusted roofing contractor – contact Annadale Roofing to discuss why we should become your roofing specialists. Free advice and free no obligation quotations provided. Our team of experienced roofing contractors look forward to working with you.